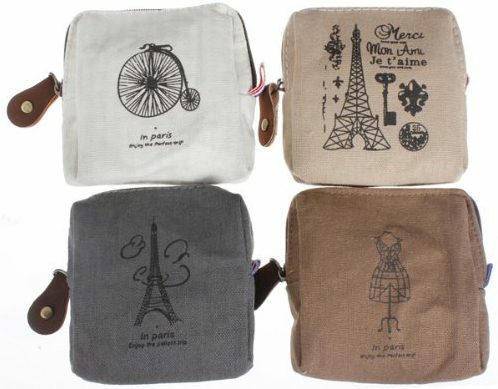 Retro Canvas Coin Purses Only $3.88 + FREE Shipping! You are here: Home / Great Deals / Amazon Deals / Retro Canvas Coin Purses Only $3.88 + FREE Shipping! Looking for a new coin purse? Check out this fantastic deal – get one of these Retro Canvas Coin Purses for just $3.88 + FREE shipping! These are so cute! I love the patterns! And, if you have a little girl who likes to keep her change and other small items in a little pouch, this would make a fun little gift for her!